A kiwi traveller has told of an overnight ordeal at the hands of police on the idyllic tourist island of Crete. 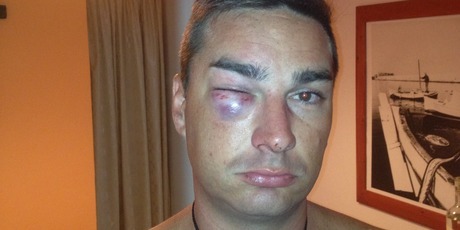 Joel Stirling, 29, says he was was kidnapped, beaten and robbed by Greek police after being set up by a seemingly friendly local in a restaurant in the town of Chania. Human rights groups have urged the Greek government to investigate allegations of abuse by police officers. The claims of abuse were made by protesters who took part in a recent anti-fascist demonstration. They say they were physically and verbally attacked by officers while under arrest. The Greek police force denies the allegations, but the group in question now plans legal action against the officers.